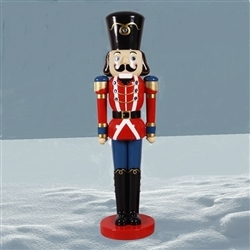 Take your holiday display over the top with this 10 foot Nutcracker with Red Jacket. 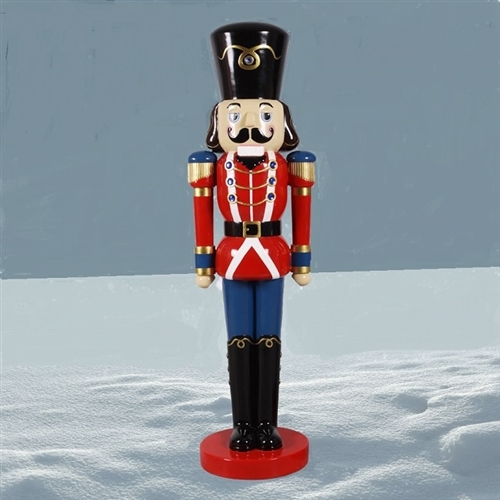 Despite their huge size, the Nutcracker is beautifully hand painted with great detail, as each oversized Nutcracker features exquisite painted finishes and special gold accents. Made of fiberglass. Dimensions: L 31" W 31" H 120" each. Weight: 140 pounds each. Shipping dimensions: each. Call us for shipping rates and place your orders early in the season. Indoor/Outdoor use. Call for shipping rates and order early in the season to ensure Holiday delivery. These sells out quickly.